It was an incredibly groundbreaking week for SpaceX as the company makes one successful launch after the other. Elon Musk and his companies won’t stop their upwards climb anytime soon. It’s been an interesting week for SpaceX. While NASA struggles to make the SLS ready for space, let alone Mars, SpaceX’s Falcon 9 keeps making one successful return trip after another before the rocket goes back up and delivers each payload requested of it. Recently though, the company hit some new developments that ought to be covered. First of all, there was the incredibly successful launch of the Dragon capsule on June 3rd as part of the CRS-11. This launch was noteworthy first of all because of the Dragon capsule itself. The capsule was reused from the previous CRS-4 mission which flew to the International Space Station back in September of 2014. This was the first time that a refurbished Dragon capsule was used for a mission. It was, once again, completely unmanned and, once again, the Falcon 9 rocket safely returned to Earth with no issues or problems. The payload within the capsule was for the ISS which included various supplies and hardware needed. Fun fact, this is the 11th of 12 such planned missions awarded to SpaceX under the CRS contract, all of which are to resupply the ISS. Their next target launch date is June 17 where they wish to reuse another Falcon 9 first stage booster only six months after its launch on January 14. On the heels of this successful launch, SpaceX got another interesting bit of news as they won the contract to launch the unmanned X-37B into space. 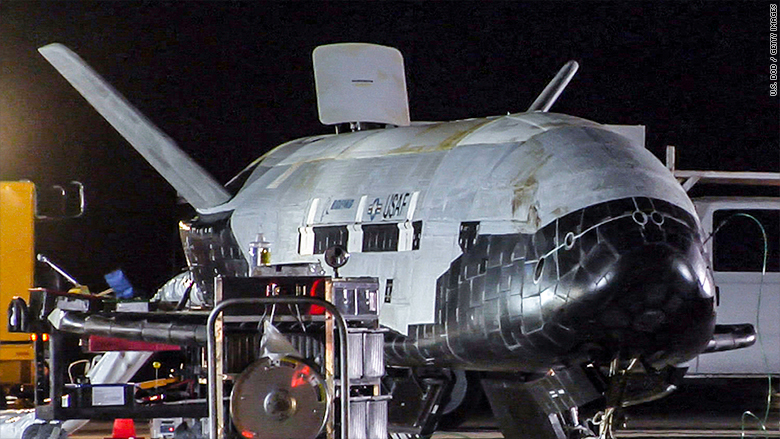 What is the unmanned X-37B? Well, that’s not entirely accurate. It’s an aircraft belonging to the U.S. Air Force. This series of craft makes several trips into space for reasons that are kept classified. It’s conventionally known as an Orbital Test Vehicle. The launch itself is part SpaceX’s multiple missions for the Air Force ever since the company broke the monopoly held by Boeing and Lockheed Marting via their joint venture the United Launch Alliance. SpaceX sued the US government back in 2014 under the claim that the Air Force wasn’t giving SpaceX fair consideration when awarding contracts. To say the least, that’s no longer an issue. Especially since not only is SpaceX cheaper than the Alas V rocket ($62 million as opposed to $100 million) it also isn’t controlled by Russia. The general public is not permitted to know the shuttle’s purpose (or, on occasion, when it lands) beyond that it is used for tests and that it is taking progressively longer and longer trips into space. Despite all of this forward momentum, SpaceX still has skeptics questioning both the company’s intent and its future. As some of you may recall, the company put down the groundwork to launch a massive satellite network to provide internet service worldwide to those who would otherwise not have access. That plan still sees heavy skepticism from the likes of Wired (of all places) and others who questioned both the intent of such an act as well as if it would also compromise the security and privacy of those using it. There’s further speculation that the company will soon go head to head with NASA as the two make the race for Mars despite the fact that there’s no statement from either organization supporting such a rivalry. The question is, what does the future hold for the company?